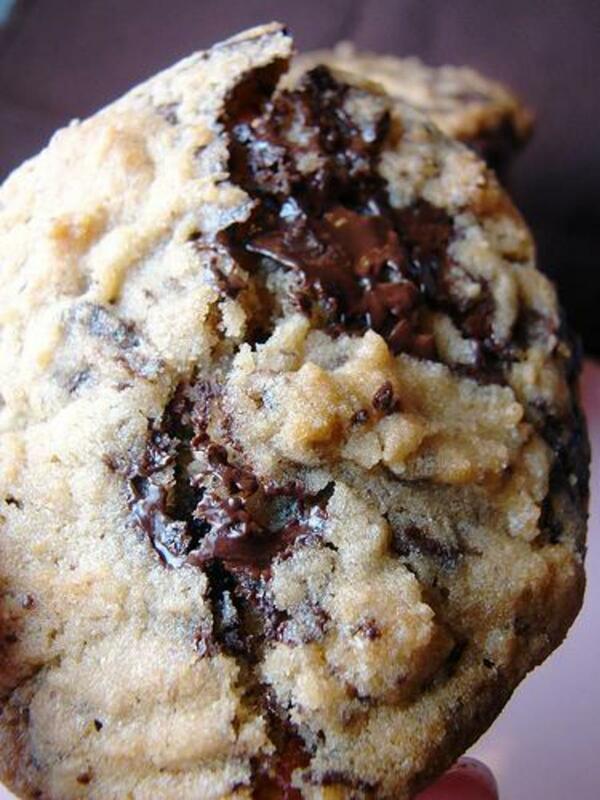 There is nothing like a homemade chocolate chip cookie. 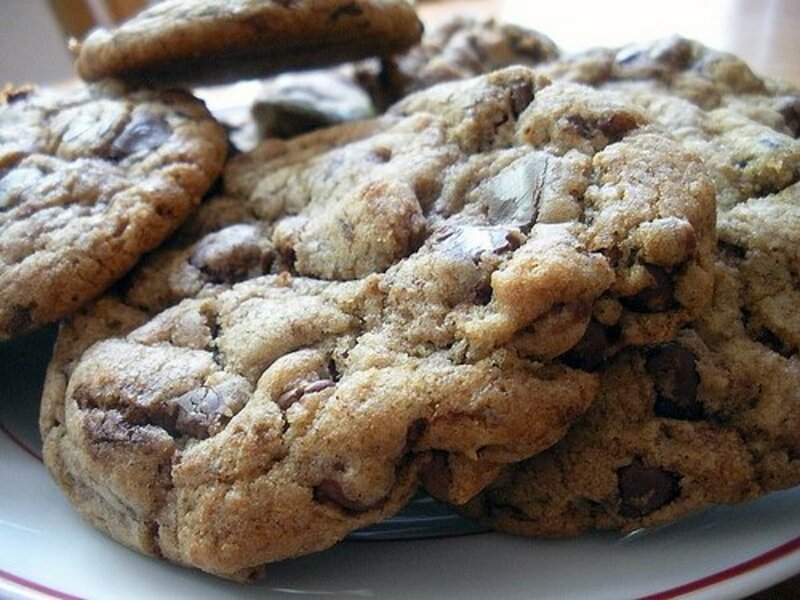 The sweet aroma permeates your house; the oven warms the kitchen; the taste of a warm, freshly baked chocolate chip cookie is comforting and so delicious. But factoring in a gluten free requirement can make it challenging. 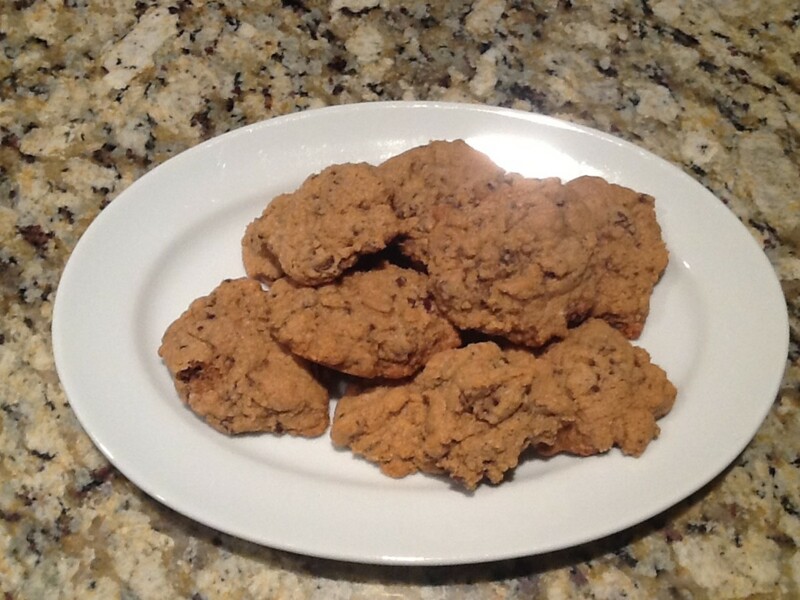 I have tried several gluten free cookie recipes, mixes, and even store bought gluten free cookies. Some are quite good and others taste grainy and are as hard as a dog biscuit. 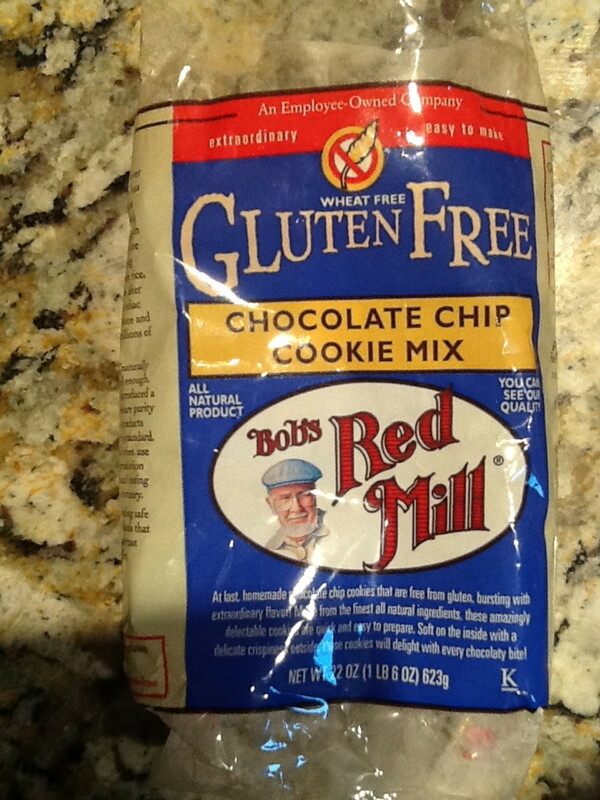 Here are reviews of five leading gluten free products: Bob's Red Mill, Immaculate Baking Company, Stonewall Kitchen, Betty Crocker and Jules chocolate chip cookie mixes. 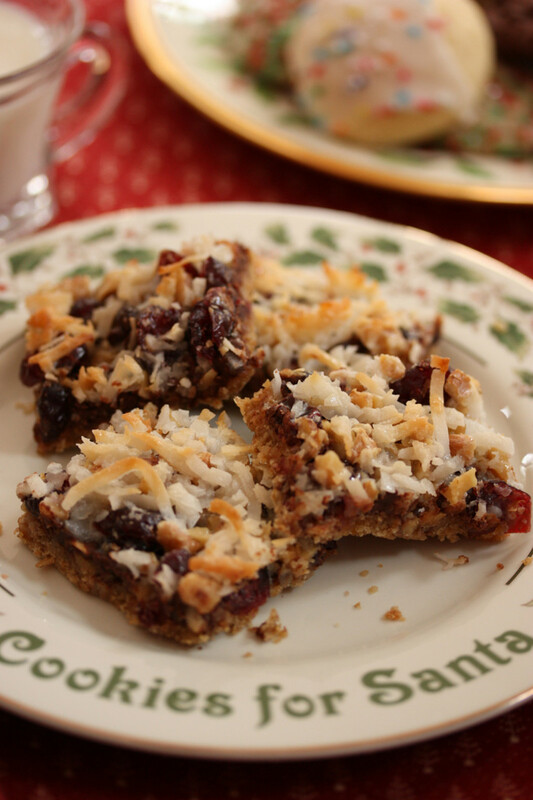 Of the three cookies featured in this hub, Bob's Red Mill is the family favorite. 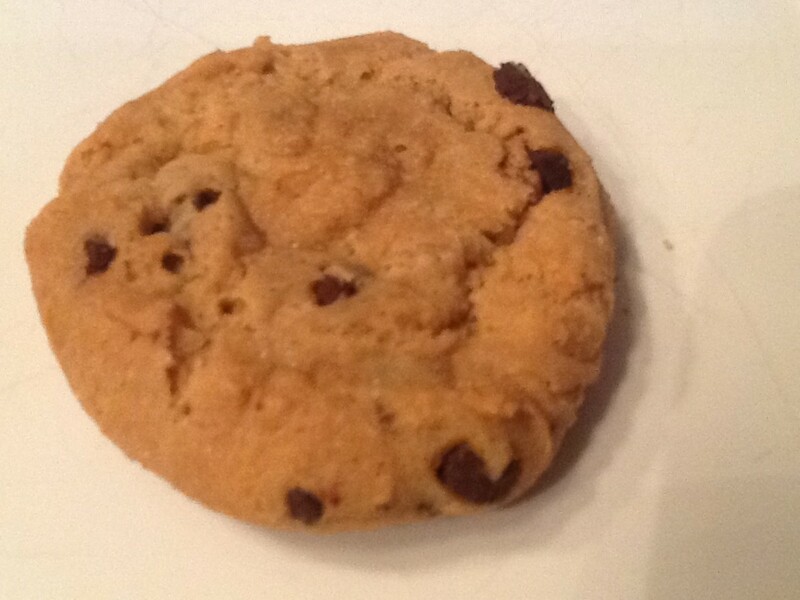 The flavor and consistency was most similar to Nestle Tollhouse chocolate chip cookies. The mix contains garbanzo flour, potato starch, tapioca flour, sorghum flour, fava bean flour and xanthan gum in place of wheat flour. It is easy to blend the three ingredients, butter, egg and water, with the mix. The package directions note the combined mixture will look a little dry; that was quite true. I was worried these would not taste good based on the appearance of the unbaked cookies on the cookie sheet, but they turned out great. 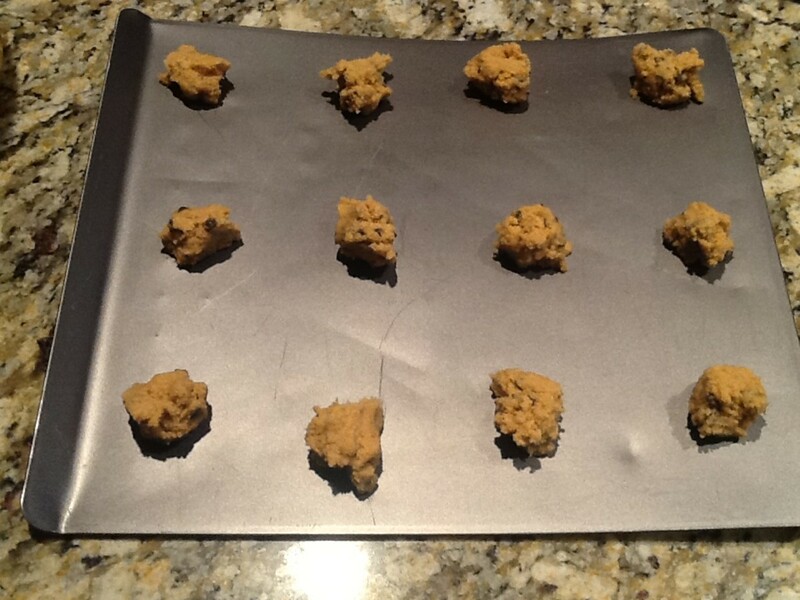 This ready-to-bake cookie dough comes in a refrigerator package of pre-formed dough ready for the oven. If you need cookies in a hurry, this is the right choice. You must be careful not to over bake. This pre made dough produces the best looking cookie by far (see picture to the right). While these cookies taste pretty good, the center of the cookie seemed a bit undercooked for my liking, even though the edges were golden. These cookies need to be eaten within two days or else they harden quite a bit. However, there are only a dozen in the package, so eating them rather quickly is not hard to do. Of course you aren't supposed to eat uncooked cookie dough, but who doesn't eat a little bit? 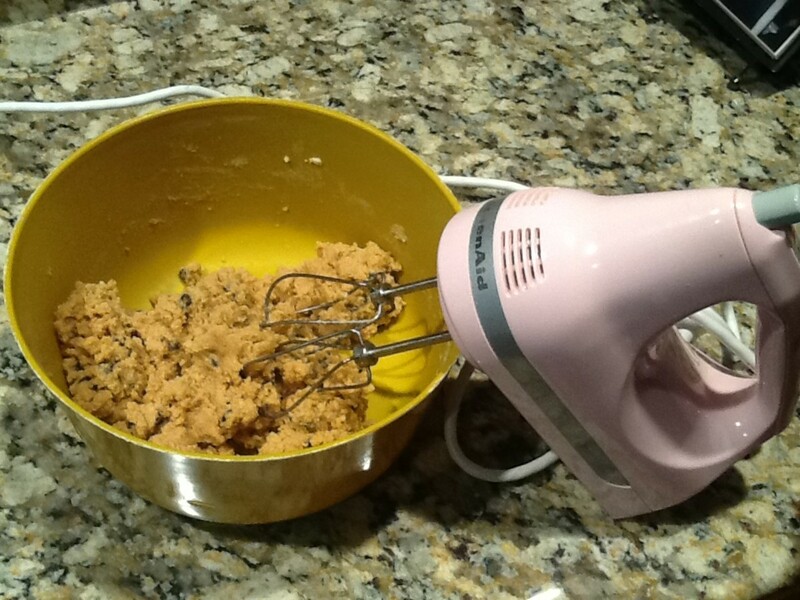 One of the best things about this cookie mix is that the dough tastes good! Most doughs and batters made gluten free taste terrible, but this one was an exception! Brown sugar is the first ingredient listed in this mix which gives the batter a sweet flavor. Interesting fact, these cookies have far less sugar than the Bob's Red Mill mix. They are quick and easy to make with only two ingredients, butter and one egg, added to the mix. The directions make it clear to only cook for 15 minutes, even if the cookies seem underdone. After 15 minutes, I removed the cookies from the oven looking like slightly baked cookie dough. They seem to finish baking while setting on the cookie pan to cool. These cookies did not taste underdone at all. They have a nice flavor, but the texture is slightly more grainy than the first two products. Even so, they are a good alternative to store bought cookies. Betty Crocker makes several gluten free products that produce excellent results but this cookie mix is not one of them. First, the mix combined with butter, eggs and vanilla is quite difficult t√o mix. It is SO crumbly, the only way to adequately mix it is to kneed it with your hands. The directions say to bake the cookies for 10-12 minutes, but mine were still quite raw at that time. 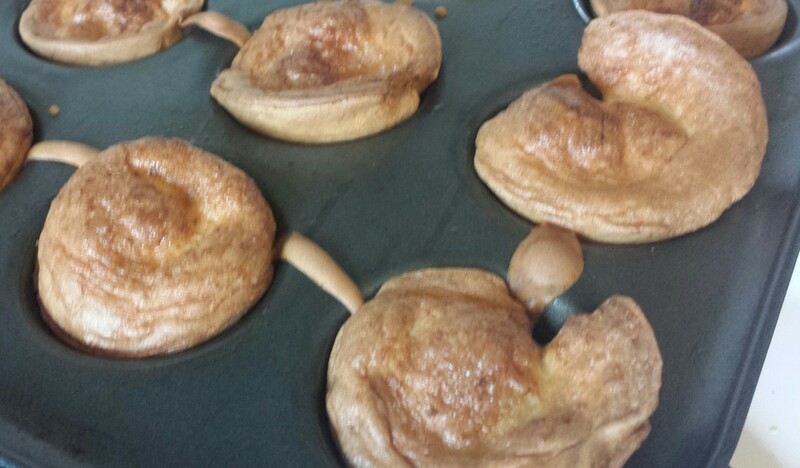 I had to bake them for 15 minutes. 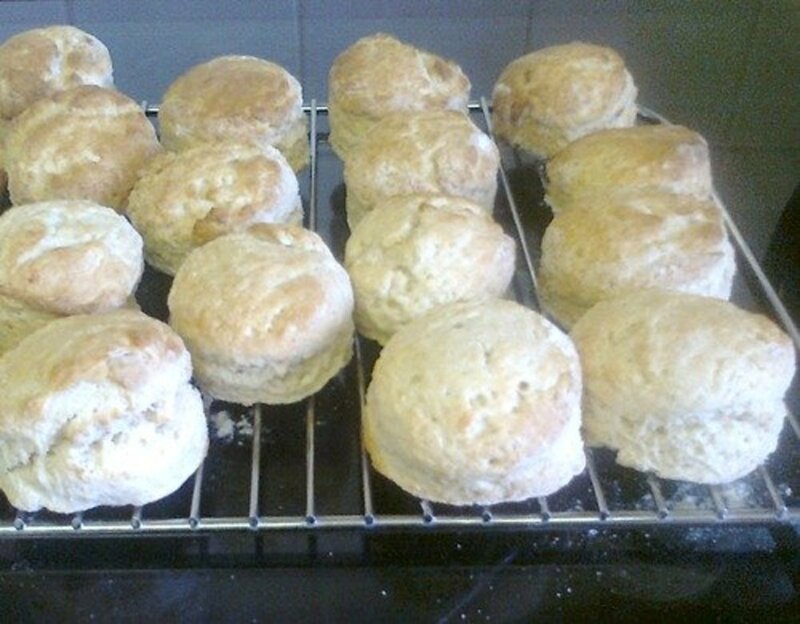 They came out of the oven looking great, but the taste was grainy. The sweetness of the chocolate chips mask the grainy texture on the tongue and the lack of chewiness to a certain extent, but Betty Crocker ranks last in this cookie review. Jules products are relatively new and found predominantly on the Internet, although they are carried by a few nutrition and health stores scattered across the United States. Surprisingly, in Iowa, they are sold in mainstream Hyvee grocery stores. 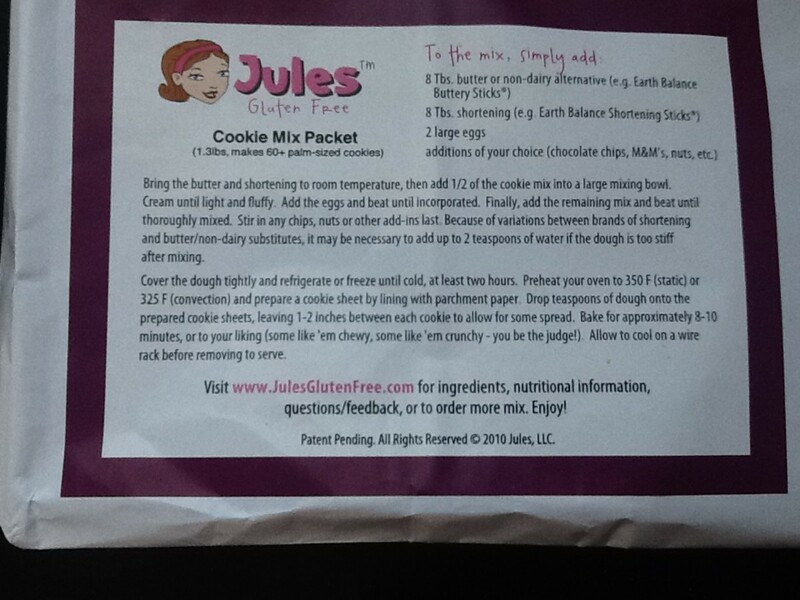 The first thing to be aware of in the Jules Cookie Mix packet is that it requires A LOT of butter and shortening. Eight tablespoons of both, to be exact. Also, keep in mind that you have to plan ahead with this product. The instructions state to refrigerate or freeze the batter for two hours before baking. The batter tasted sweet and creamy, and the baked cookie also had an excellent flavor. The baked cookies were flat and crumbly, most likely due to the abundant amount of butter and shortening. Although the instructions state to bake a shorter time if you like them chewy instead of crunchy, I tried this as well and did not have chewy cookies, instead they tasted undercooked. Another nice feature of this cookie mix packet is that you can add whatever ingredients you prefer--gluten free oatmeal, chocolate chips, nuts, M&Ms, raisins, etc. 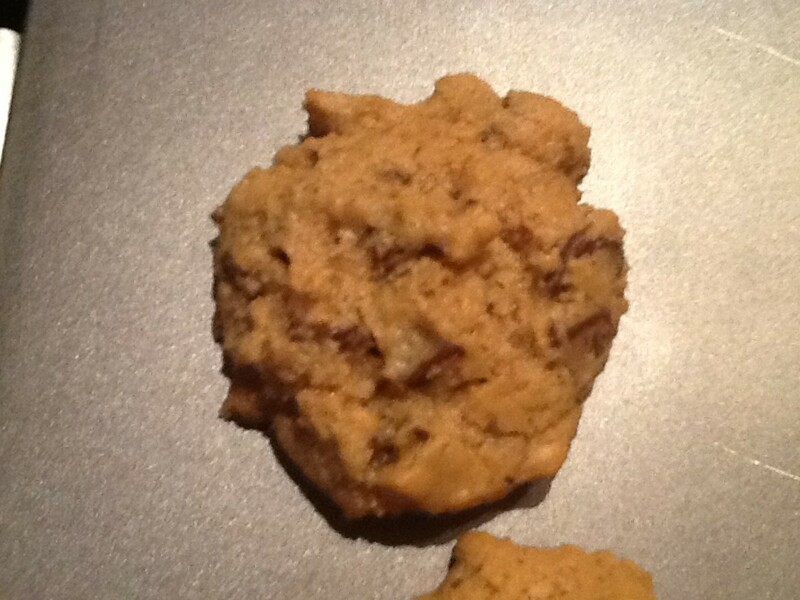 Bottom line, Jules produces an excellent tasting cookie, but not the best looking. 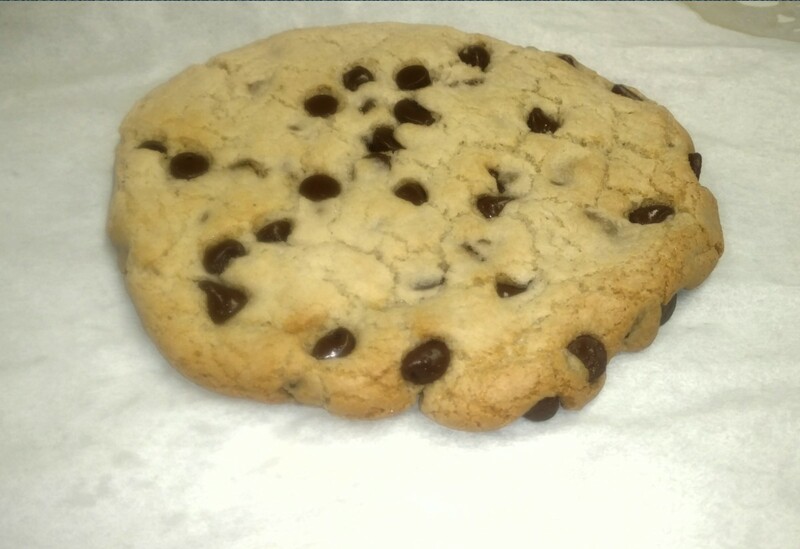 By taste alone, you cannot detect it is a gluten free cookie. The next time I make the cookies, I will reduce the amount of shortening. At www.julesglutenfree.com, this cookie packet sells for $9.95, but it is frequently the deal of the day, listed at $5.95. Gluten is an ingredient found in foods processed from wheat and related grain species, including barley and rye. 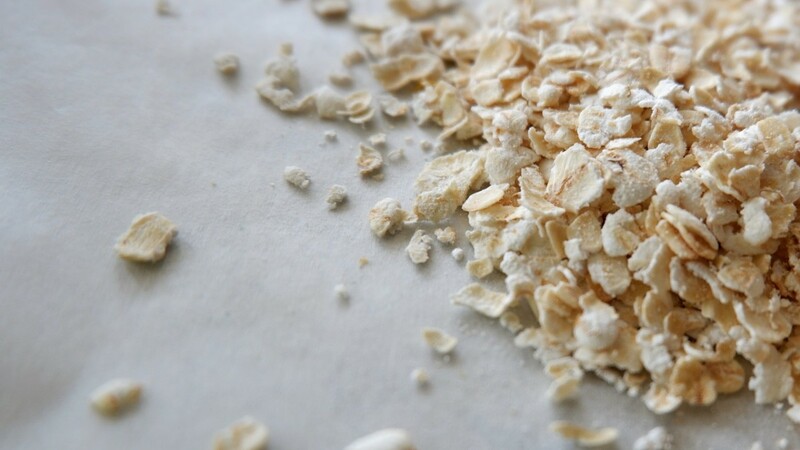 It can also be found in some oats if they are contaminated with other wheat products. When you remove gluten from most foods, it is quite noticeable. Gluten plays an important role in breads and baked goods. It provides elasticity in dough and helps it to rise and to keep its shape. 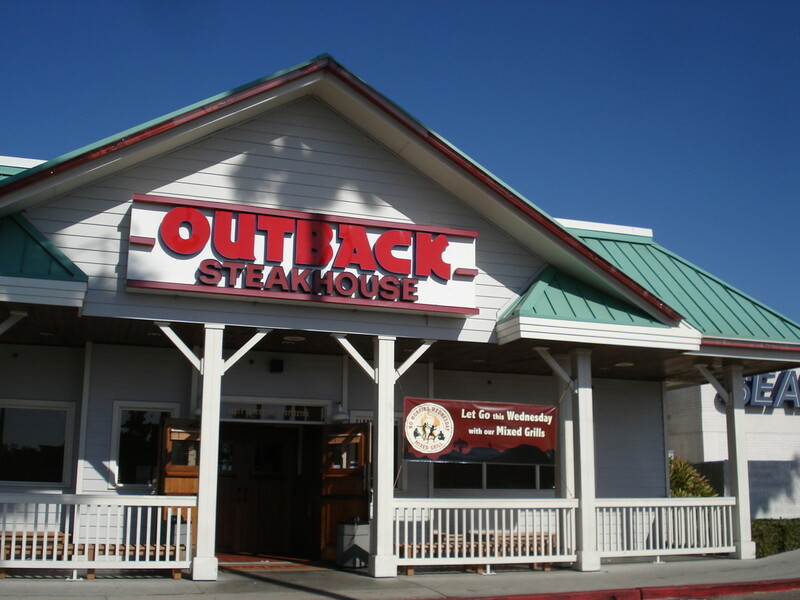 It often gives the final product a chewy texture. When you remove wheat flour from a recipe, it is difficult to substitute with ingredients that give you the same result. Frequently, all purpose flour is substituted with a combination of rice flour, tapioca starch, potato flour, xanthan gum and other ingredients. I have found it hard to mix this concoction successfully. Plus, you end up buying so many ingredients that making a batch of gluten free chocolate cookies from scratch is very expensive! Even if you use a box of gluten free flour derived from other non gluten flours, it costs twice as much as a traditional bag of flour. 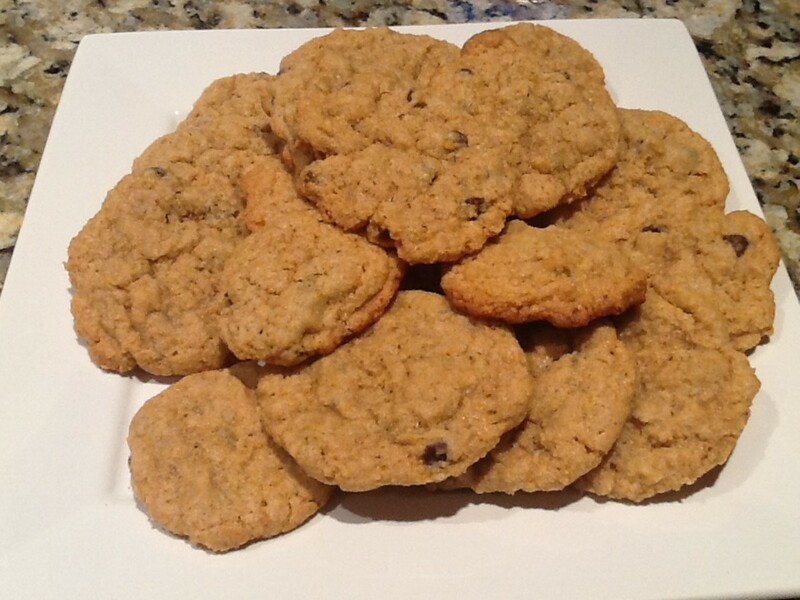 For these reasons, I find the "almost from scratch" gluten free chocolate chip cookies to be the best option. 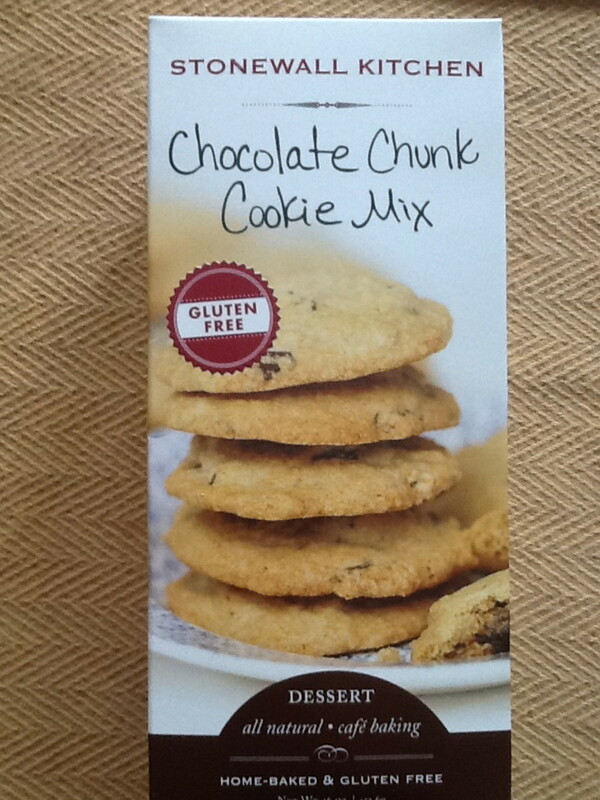 What is Your Favorite Gluten Free Chocolate Chip Cookie Mix? Appreciate all your careful reviewing and also your description of what gluten is. It's nice you told us what Stonewall's cookie mix tasted like before you cooked it! Who doesn't lick the spoon?